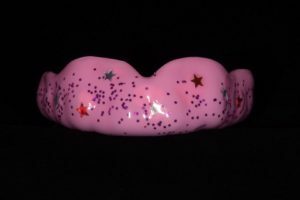 Gum shields, also known as sport guards, are made by taking an accurate impression of your mouth and making the gum shield fit your own teeth. 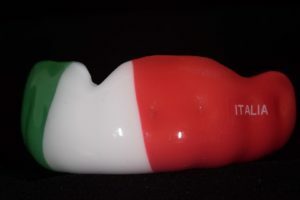 We will note the way your jaws bite together to make sure the gum shield meets properly with your teeth. There are home kits available. They involve heating the product in hot water and then putting it in your mouth until it sets. Unfortunately, these gum shields can fit badly and be uncomfortable to wear. They can fall out and the material is at its thinnest where it is needed most. At JB Denture Clinic we specialise in making custom fit and designed gum shields/ sports guards that are unique to you.